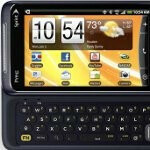 On sale at Best Buy this week is the HTC Evo Shift 4G for Sprint, which will be available for the price of $99.99; a $50 decrease from the $149.99 price tag that it has carried since the time of its launch. Anyone looking to join the Sprint network as well as existing Sprint customers that are eligible for an upgrade will qualify for this pricing. Amazon recently dropped the price of the Evo Shift 4G on their website, but their pricing varies depending on the type of activation. They sell it for $149.99 to upgrade eligible customers and discount it to $99.99 for new comers to Sprint. So all in all, the HTC Evo Shift 4G has begun going down in price in multiple places. Keeping in mind that Best Buy does not deal with mail-in-rebates, does the drop in price entice you to head on over and pick yourself up an Evo Shift 4G? Tell us what you think in the comments below. It's going down in price because there is no front facing camera. Who wants a 4G phone with no video conferencing capabilities? Who wants Conferencing capabilities that are choppy and slow? This model is faster than the EVO, and does away with the on screen keyboard and is perfect for people who don't need the silly Front facing Video. I don't see a need for video Conferencing that will cause headache and i can see sprint had the same idea. I rarely had any issues with video over IP when connected via WiFi or over a WiMAX network. The only times I have experienced issues with data packet loss and/or frame drop was when the connection was via 1xRTT or EVDO Rev 0/A. Not everyone wants a video chat enabled device. Some people like compact designed handsets and ones that feel like you are actually holding a handset. Both the HTC EVO 4G and the Samsung Galaxy S Series Epic 4G are great devices. One man's meal is another man's poision and what may be a QE2 for me may be the Titanic for you. what is the price if you are not eligible for an upgrade and not a new customer? i wouldn't mind getting that for a good price and since im already a sprint customer would by upgrade make it go lower i wonder. can i get this price at any best buy? ?